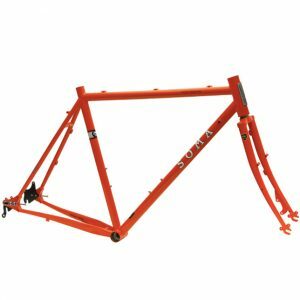 Soma’s Grand Randonneur is a true low trail geometry randonneuring frame set, which means it rides better with a front load than other touring and road bikes. 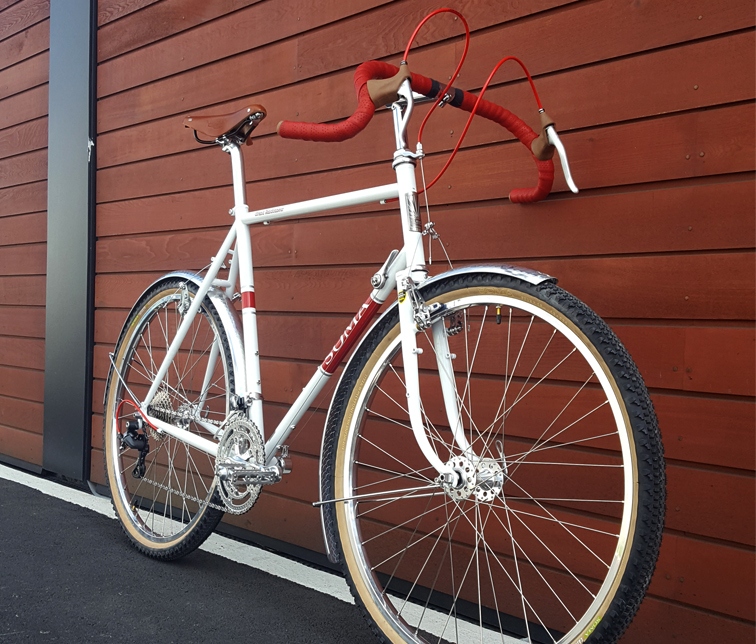 Co-designed with Mike Kone of Rene Herse/Boulder Bicycles. 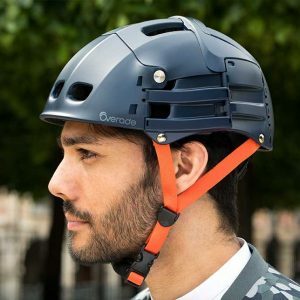 It will fit all the gadgets a good rando bike should have. 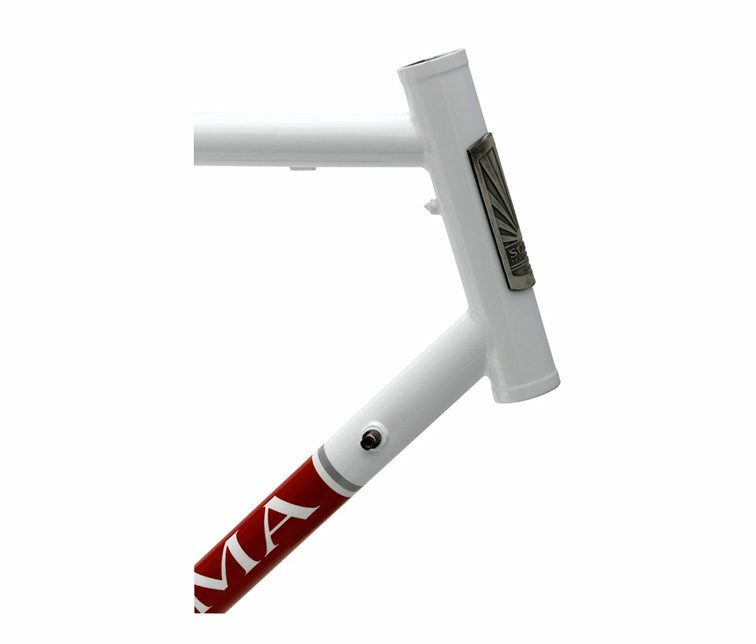 The traditional diameter tubes lend a smooth comfortable ride. Allow up to 4 weeks for your order to be shipped. 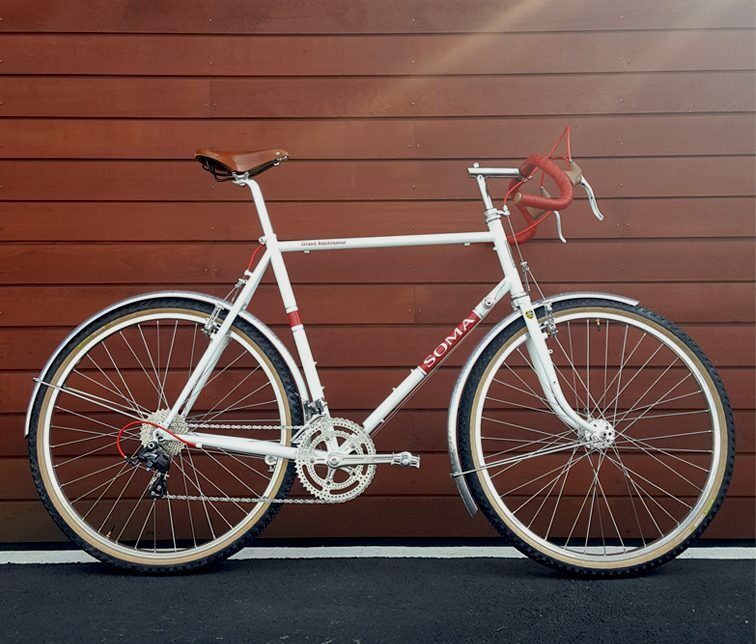 The Soma Grand Randonneur designed by Mike Kone of Boulder Bicycle and Rene Herse fame, is a very compelling deal. In my short ride, I felt immediately at home on the bike, and really felt some of the benefits of the different front-end geometry. It was quick handling, but forgiving – not twitchy. As I slowed, I noticed there was none of the flopping I have on my higher trail bikes if I let go of the handlebars. OK – that’s nice. The thing I liked more is that on a slow climb, I didn’t have the bars slightly twisting back and forth with my pedal strokes. It tracked well at low speeds. On turns, at medium and higher speeds, there was no uncertainty of where I was going. Perhaps it didn’t feel like it was “on rails” like my Rivendells, but there was no bad effects I could ascertain. 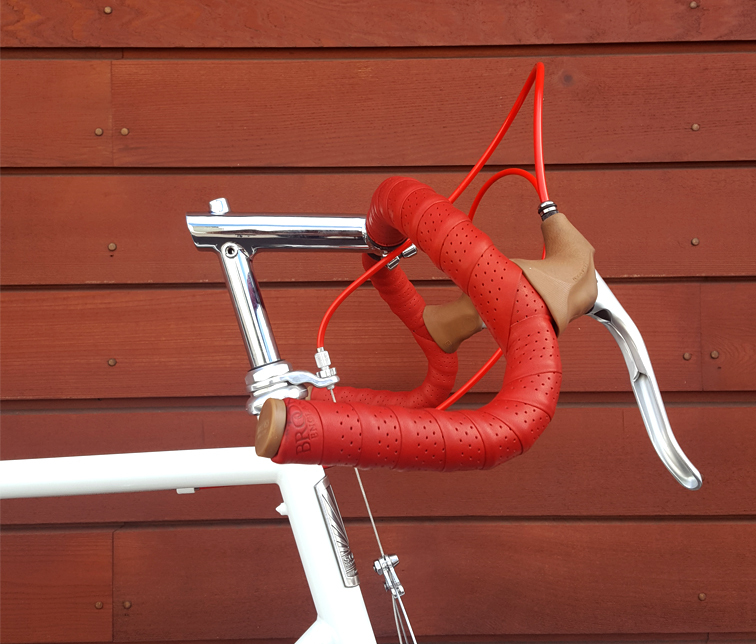 It’s a beautiful bike with clean welds, and light tubing. The colour, which I expected to be an aesthetic problem immediately grew on me. 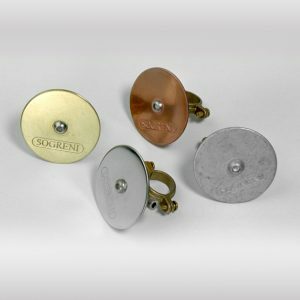 It’s unique, classic and even a sophisticated looking. Pump pegs, bosses for a third bottle cage, integrated rear brake stop are all nice features that add to the fit and finish. 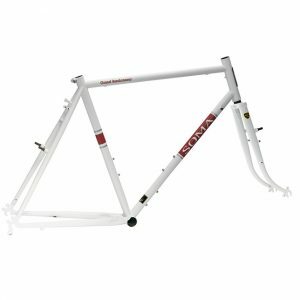 It’s my first 650b bike, so I am loath to make too many comparisons. I’m just having fun on it. Fun riding up the volcano, a blast riding my favourite fast flat, a hoot getting my coffee in the morning. It’s even fun to look at while I drink my coffee. One caveat. 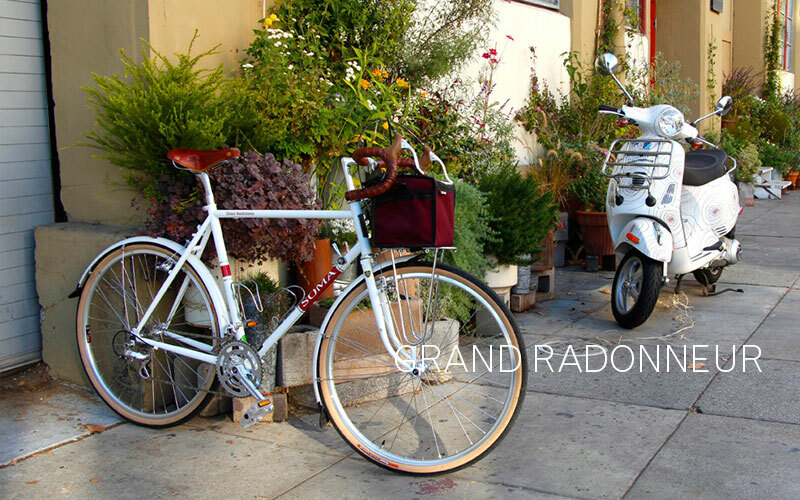 If you’re sniffing around Grand Randonneur as a touring bike, you might look elsewhere. The GR is purpose built for randoneurring. 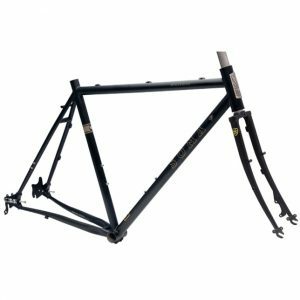 Further, the rider is farther back towards the rear axle than on an intended touring bike. Climbing was actually fun, each pedal stroke was like getting a push from an unseen force at the rear of the bike. I wasn’t just going up this hill, I was accelerating up it. 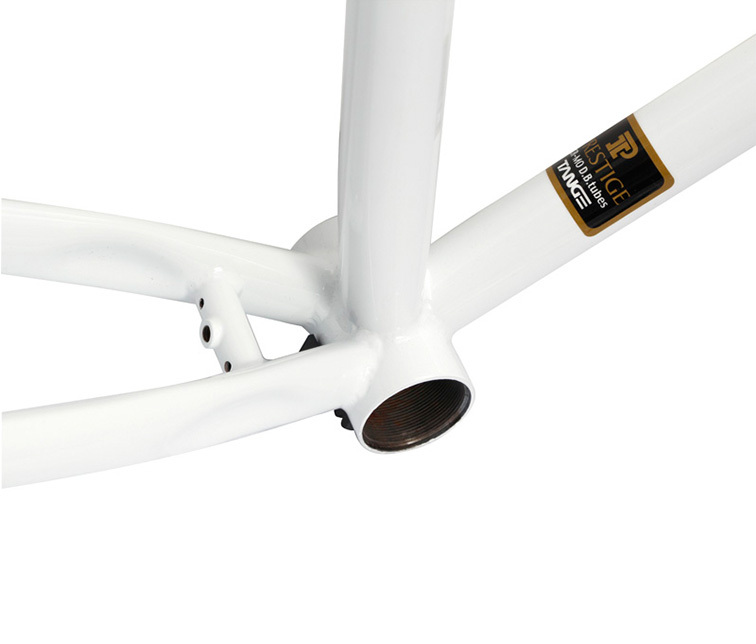 Jan Heine calls it ‘planing’ and it’s a result of a symbiotic rider and frame geometry. . There are growing ranks of cyclists who prefer a low trail bike, primarily because of the way it handles with a medium front load like a handlebar bag. 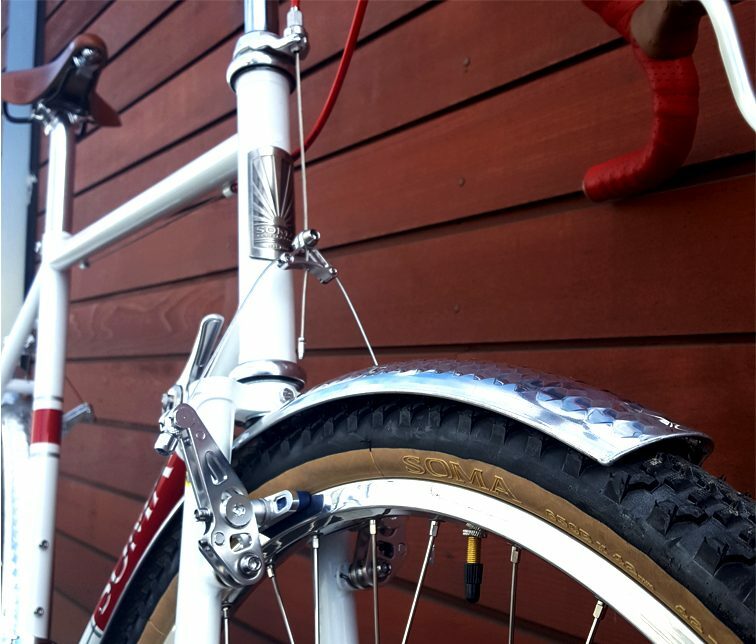 The Grand Randonneur has a fork offset 20mm or more than the average road bike. When carry a load up front the bike responds less to the weight of the bag while steering. 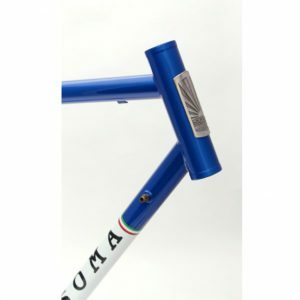 The Grand Randonneur uses lighter tubing than our other road bikes and a fork with a more pronounced bend to create a more comfortable ride over long distances. Because of that and the low trail design, we don’t recommend it for fully loaded touring. 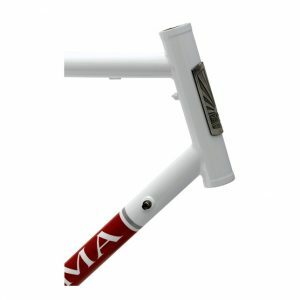 It is a performance bike designed for carrying a light to medium front load in relative comfort over long distances. 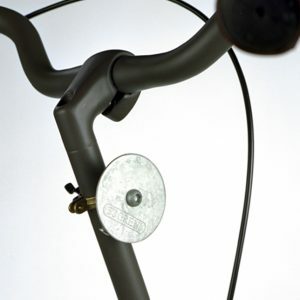 These observations from Bicycle Quarterly and others may help you determine if you want to try it out and help fine tune the ride of your bike. 2) These bikes handle differently than most bikes you’ve tried. It may take one long ride to get used to it or weeks or months – depends on the rider. 3) Without a load in front the steering feels light especially at low speeds. You can put on panniers or a loaded saddle bag on it, but the ride quality won’t be as good. Don’t low trail bicycles suffer from “fork shimmy”? A few riders with low trail bikes do experience varying levels of fork shimmy (aka speed wobble) during speedy descents. There isn’t a consensus on what causes it or how to get rid of it. Some riders seem more prone to it than others. Others say that shivering on a cold day or gripping the bars too tightly can set it off. Installing a roller bearing (aka needle bearing) headset may help get reduce it. Some say to avoid putting your seat too back or raising the bars higher than the saddle. Others say resting your knee on the side of the top tube during can help, too. – This type of bike rides best with a front load. You can ride it unloaded, but it will take time to get used to the steering qualities of a low trail geometry. The low trail geometry makes the bike very sensitive to steering input. This would normally be too much, but paired with the 42mm 650B tire, it feels PERFECT, even with a front load. When I used to have a mid-trail 700C 38mm-tire bike with a front load, the steering was heavy and sluggish. It was very good at going straight, but not very good at subtle manoeuvres. What I have now feels perfect for my taste. I also have a beater that is a low trail 700C 35mm, and that also feels very nice. I’m sure a 700c low trail bike with 38mm tires would be quite good for me. 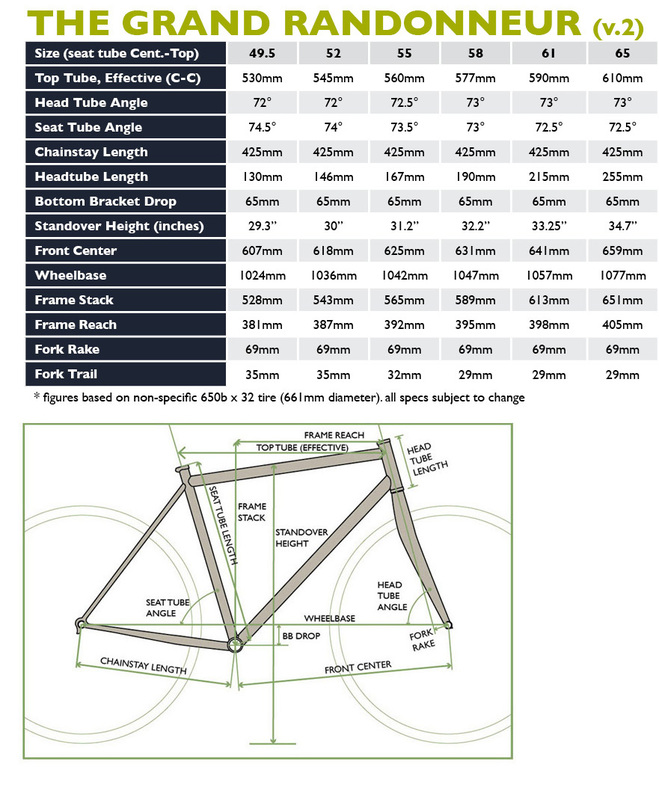 But if you add to this how comfortable the 42mm tires are at low pressure, and they’re fast, I can’t imagine wanting anything different as I prepare and train for the PBP 2019. It’s a great bike and I’m really enjoying it. As far as the things that are unique about this bike, I’ll take them one at a time. This is a no brainer for me now. 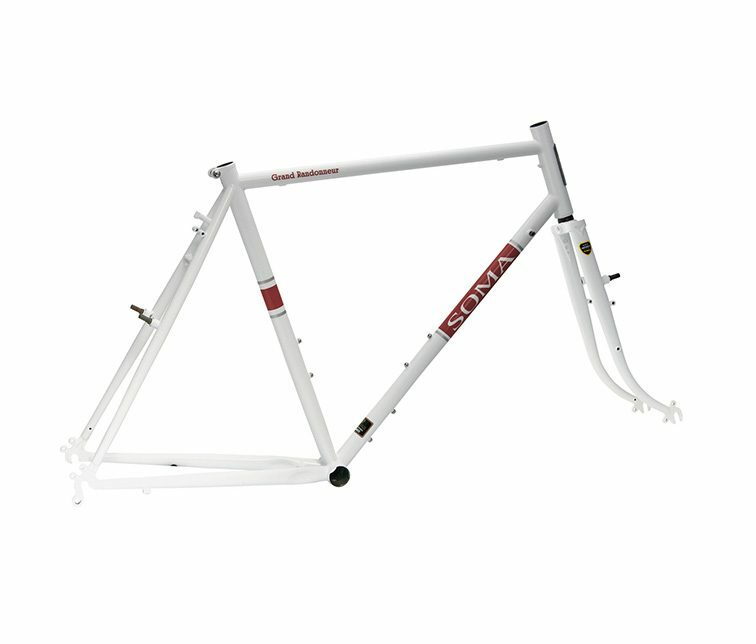 I’ve had aluminium and carbon fiber bikes in the past and now I know I prefer steel. The ride is always great, the performance is great, and I know I can trust it. I’m sold on this now. I feel like I’m not giving up anything as far as speed and agility while gaining comfort, stability, and the ability to ride on any surface. This is really a win-win for me. The jury’s still out on this one. I like the responsiveness and how well it holds true around a curve. I don’t like the possibility of shimmy at speed, or the twitchy feeling when going too slow. Once advantage of low trail is that you can carry more weight in the front. This is great but I can also load up my touring bikes with a front load and never have any problems. If the main advantage of low trail is that it handles better around the turns on really fast downhills, then this is something I don’t need. I’d be perfectly happy going slower for more stability. So this may be one feature that I don’t care for. The more I ride this bike the better I like it. It may be that I’ll come to appreciate the low trail more. 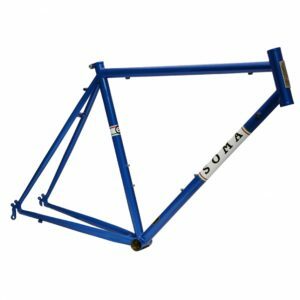 Practical, durable, comfortable, affordable, customised bicycles for the everyday cyclist… these are the primary forces shaping Soma’s ideology. Across the globe, its electric bike converts will tell you the same thing, the eZee Sprint is simply world class! It's a serious commuter vehicle of the highest performance and value. Featuring an upright sitting position and user-friendly features, making riding through the city hassle free. 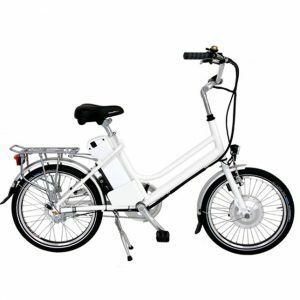 The eZee Sprint is an all-rounder city bike for both Men and Women. The robust Shimano Nexus 7 Internal hub gears and Schwalbe puncture-resistant tyres makes for long lasting high performance, yet light and easy to maintain. 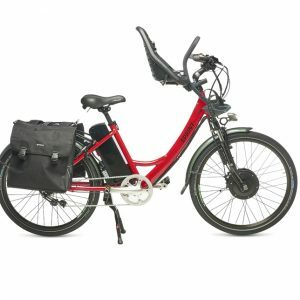 Equipped with a centre mount double leg kick stand, mud guards, rear rack, speedometer and front and rear lights, the eZee comes with all the accessories to make commuting a breeze. 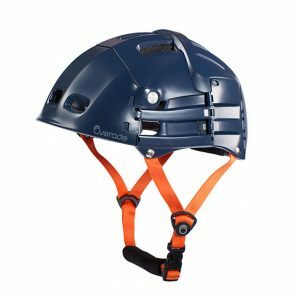 eZee Sprint 7L NZ review click here Colours subject to availability. 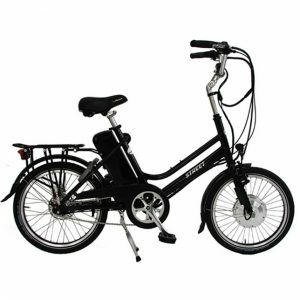 With one quick test ride, you will see why this is the handiest electric bike you’ll ever meet. And like all eZee bikes, it comes with the best ingredients. 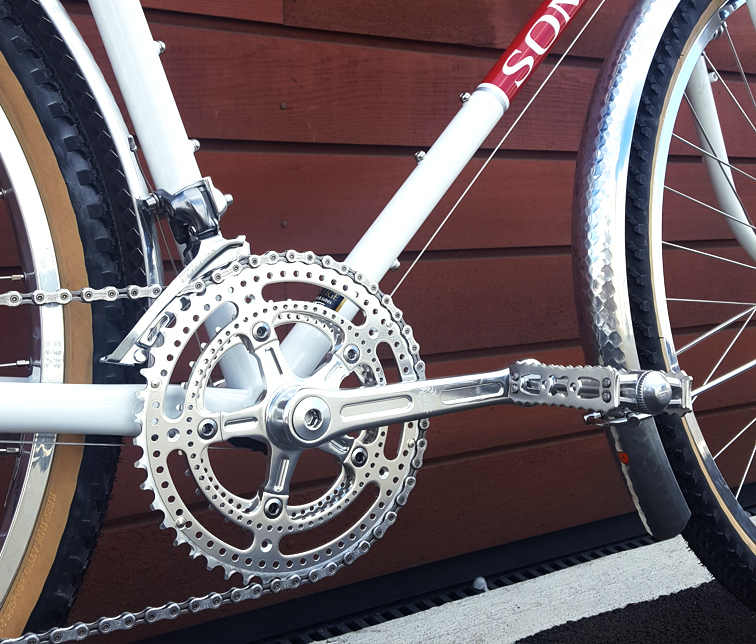 From Shimano internal hub gears to Schwalbe Big Apple super comfortable balloon tyres, sturdy front basket and unbeatable hill-climbing ability. Don’t think that just because it’s small it doesn’t pack a punch, this motor in a reduced size wheel means it has the highest torque of them all! 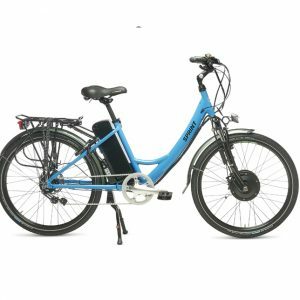 If you’ve find most bicycles are a bit too big for you or your home, or if you just want an e-bike that’s easy to hop onto and cruise to the shops in style, then this one’s for you. The eZee Street is as small and fun as a folding bike without any of the compromises. Colours subject to availability.